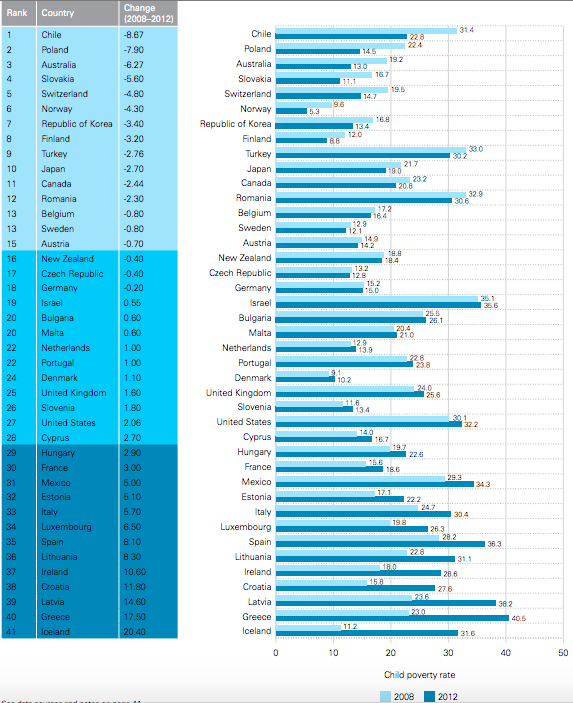 Governments in both the United States and Europe recognize that having children places greater financial burden on parents. In the U.S., the federal government has in place the Child Tax Credit. Taxpayers with children “may be able to reduce [their] federal income tax by up to $1,000 for each qualifying child under the age of 17.” The problem with the CTC is that it is taxpayers might qualify for the credit, and even then, the amount might not be the maximum of $1,000. 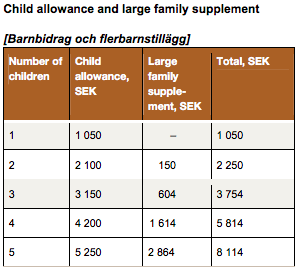 In Europe, on the other hand parents receive monthly allowances to help with the costs of raising children. Instead of listing the amount for each country, I am going to use Germany, Great Britain, and Sweden as examples. In Germany, parents receive an allowance called Kindergeld. According to the German Embassy in the U.S., “In 2010 the amount paid for a couple’s first child was raised 20 euro to a sum of 184 euro per month [$207] per child. For a second child, parents receive an additional 184 euro per month and for a third or fourth child, 190 [$214] and 215 [$242] euro respectively. Parents or guardians are eligible to receive Kindergeld at least until the child’s 18th birthday.” So, a family with three children, for example, would receive 558 euro [$628] per month. That makes the $1,000 CTC seem quite paltry. In Great Britain, parents receive £20.70 per week [$32] for the eldest or only child, and £13.70 [$21] per additional child. Going back to our family with three children, that comes to around £192.40 [$296] per month. For more information, the EU has a great website called the “European Platform for Investing in Children,” which includes country profiles and summarizes each Member State’s policies. If American legislators were truly concerned about family values, they would enact policies to establish children’s allowances. The CTC does not even come close to helping parents with the costs associated with raising children. An extra $300-400 per month could mean the difference between a parent working a second job or not. Receiving children’s allowances could also help improve child nutrition, which in turn, helps with the health of a child and could reduce healthcare costs. According to UNICEF, the child poverty rate in the U.S. in 2012 was 32.2%, up from 30.1% in 2008. A monthly child allowance could reduce our rate of child poverty. It should be noted that there is one case where parents can receive a monthly children’s allowance in the U.S.- foster care. Here in Wisconsin, foster parents can receive between $232 and $499 per month, depending on the level of care. If a state government realizes that a monthly allowance is helpful to cover the basic needs of foster children, why doesn’t every family, regardless of whether they have foster children or not, receive one?